April 5th 2016 8:00PM & 10:00pm. 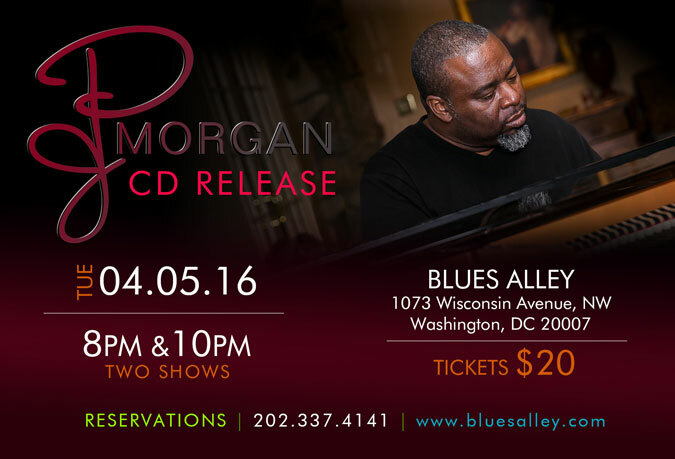 PJ Morgan is enormously respected in the music industry as an organist, keyboardist, music director, and producer. He has played and recorded with Yolanda Adams, Najee, Ben Tankard, Stevie Wonder, and countless other musical giants. PJ Morgan’s much anticipated graduation to Featured Artist is causing substantial buzz near and far! At the two shows on April 5th you can expect to hear original music and tunes that are familiar to you, with enjoyable twists of innovation. PJ will be accompanied by bassist David Dyson and drummer Jay Williams, who are professional sidemen of epic capability. A live string ensemble along with singers and other musicians will enhance the experience. For those of you who love “real music”, PJ Morgan will supply it in great measure!